Sometimes delicious food does not photograph well. And sometimes, despite wonderful camera equipment, apartment kitchens make poor backdrops. 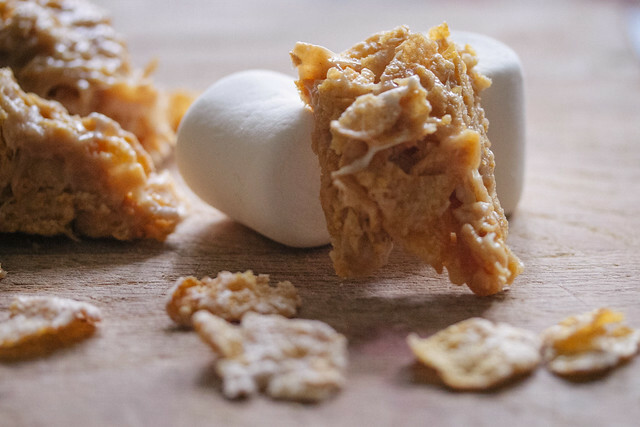 I attempted to make some camping treats that I recall from a Colorado backpacking trip. 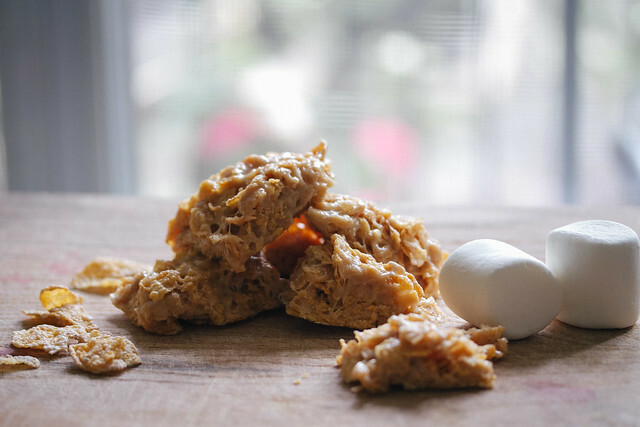 We called them Tony the Tiger Bars, and they are made with marshmallows and peanut butter and frosted flakes and butter. These little bars make an excellent snack on a hike, and the peanut butter provides some protein to sustain you until you reach the campground...or civilization. 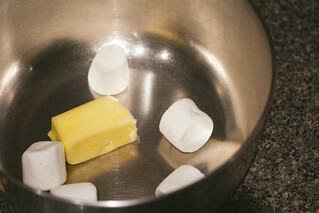 Melt marshmallows and butter in saucepan over low heat, stirring frequently. 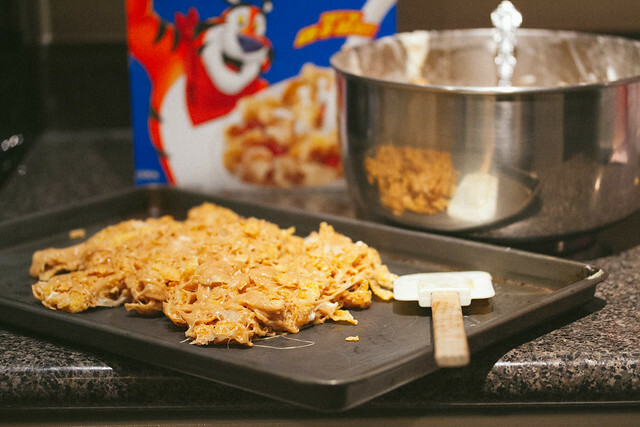 Add in the frosted flakes cereal, and stir until coated. 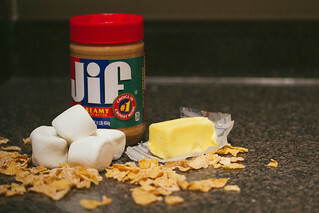 You have to do this pretty quickly because the peanut butter/marshmallow will begin to thicken. Using a spatula or spoon, spread the mixture into a pan. Allow to cool, and then cut into the bars.